«You expected to be sad in the fall. Part of you died each year when the leaves fell from the trees and their branches were bare against the wind and the cold, wintery light. But you knew there would always be the spring, as you knew the river would flow again after it was frozen. When the cold rains kept on and killed the spring, it was as though a young person died for no reason». Each epoch has to face its lost generation, it seems an unwritten historical rule. Inventor of this popular definition is the famous writer Ernest Hemingway, referring to the European and American youngs who have come of age during the World War One. 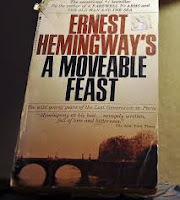 Hemingway loaded the expression in the epigraph to his first novel Fiesta and then in his well known book of memories, A Moveable Feast. In Hemingway’s pages “lost generation” marks the inability of the young survivors to become part of the society, serving it usefully and actively. It was the strict and indifferent position of the "fathers". This point of view carries an ethical opinion that Hemingway discussed and refused. In his idea, running the different human ages, no group can assume the role of critic, judging the other generations, above all attacking the youngs. Staring at a new kind of struggle that was going on to shake the after war Occidental societies, the great novelist felt compelled to evidence the controversy, defending all the youngs who lived the big drama at the front. But there’s another declination of Hemingway’s tag. A lost is something that never comes back. Talking about soldiers are the ones who were defeated by death. Many eminent artists and intellectuals disappeared, as Franz Marc, Umberto Boccioni, Egon Schiele, the sculptor Raymond Duchamp-Villon, brother of Marcel Duchamp, the poet Guillaume Apollinaire, killed by the 1918 flu pandemic – the corpse was discovered at home by his friend and colleague Giuseppe Ungaretti – the anthropologist Robert Hertz, scholar of Émile Durkheim, killed in action (April, 1915) while volunteering for active service. And it’s just only a sample list. Such a situation reminds us of the shock for the Black Death, when human and cultural energies were destroyed by the virulent plague of 1348. Each perturbant and large scale spreading event, has an impact on a society and it’s destinated to prolong the effects.